“Save time by carefully checking your gauge.” Famous last words for anyone that knits or crochets. 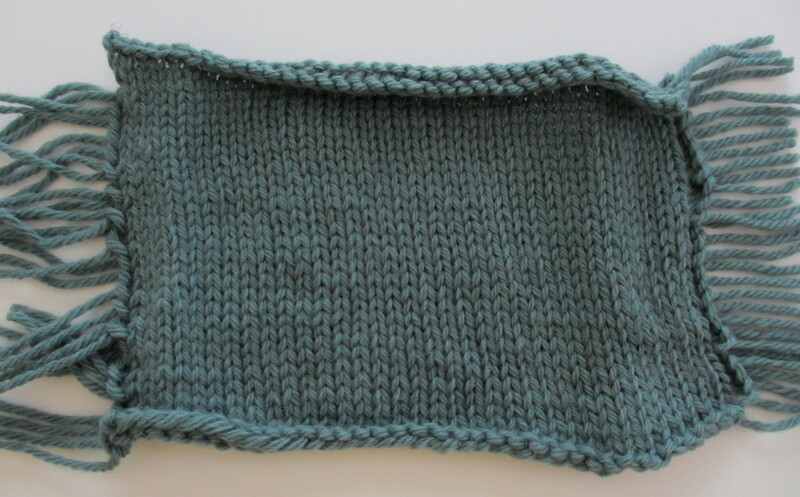 Knitting a gauge swatch indicates the tightness or looseness of the knitter’s tension by measuring the stitches and rows per inch over atleast a 4″ swatch. Getting correct gauge determines the finished size of the stitched item and insures time wisely spent. 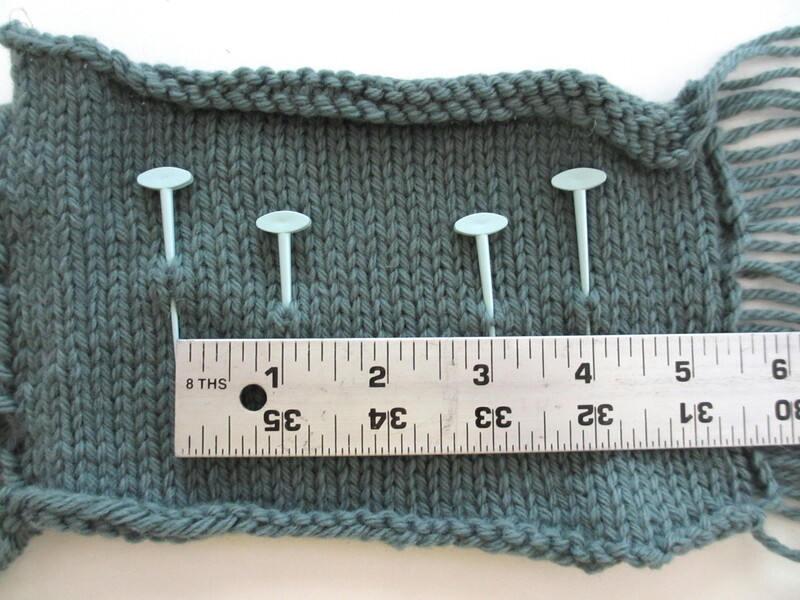 How is gauge checked for items knit in the round? I’ve posed this question to many in my knitting circle and received a variety of responses. 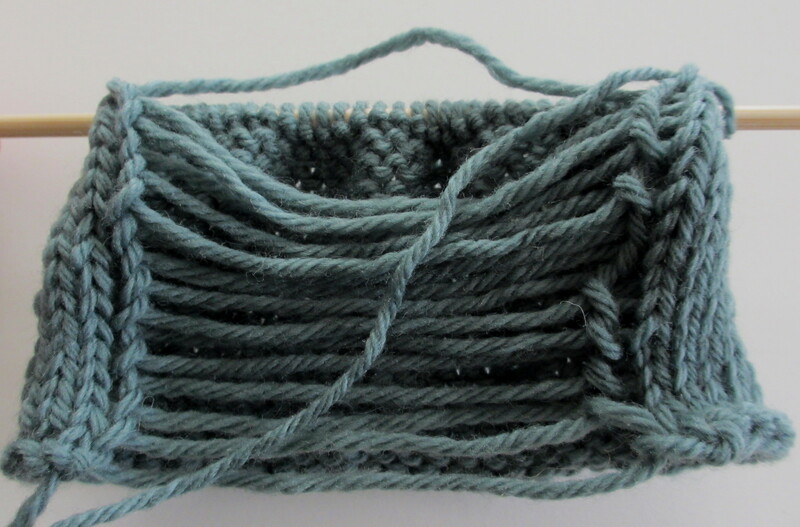 “It doesn’t matter, just knit a swatch.” “If you’re knitting in the round, swatch in the round.” Why not knit a swatch using two double-point needles creating an I-cord? (Check-out www.knitty.com Winter 04 Issue Knit by Numbers). I decided to knit three swatches to find out what the difference in gauge would be with each method. 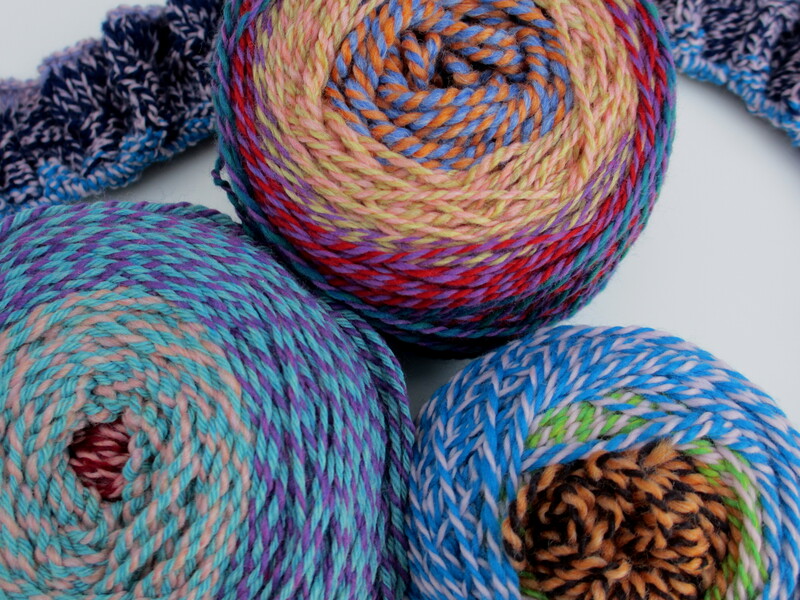 The I-cord method, knitting back and forth on straight needles, and in the round using circular needles. 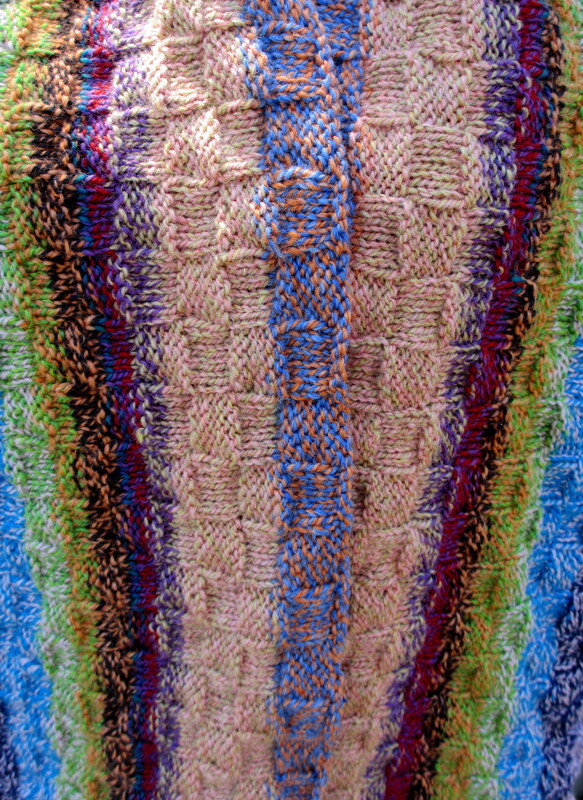 Each swatch was knit atleast 5″ wide with a worsted weight yarn in stockinette stitch on Size 7 bamboo needles. The stitches were cut up the back on the I-cord swatch to lay flat. 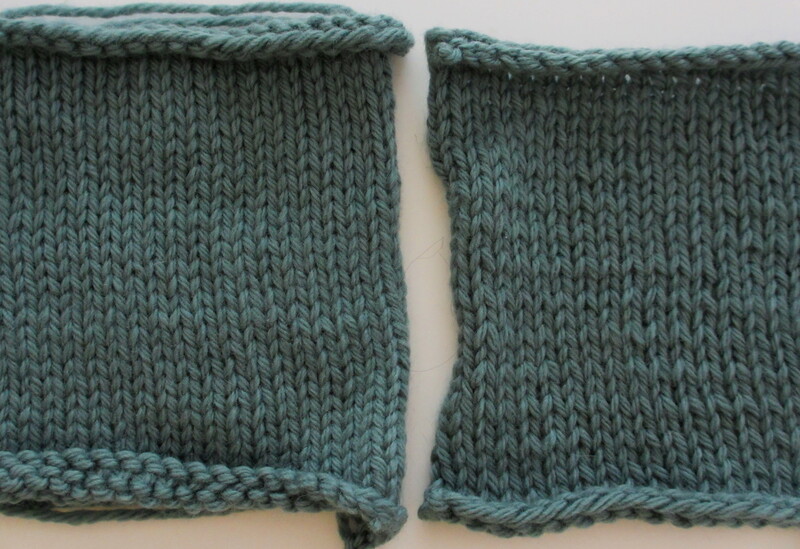 Compared to the other two swatches, the tension on the knit back and forth swatch was looser. Before measuring, each swatch was washed. So, I have the answer…each method produces a different gauge. I believe the I-cord method and knitting in the round are more reliable because both methods mimic knitting in the round. Of course, each knitter knits differently and your results will be unique to you. Author knitoriousPosted on May 31, 2013 June 2, 2013 Tags circular needles, double-point needles, gauge swatch, I-cord, knitty, straight needles, worsted weight yarn2 Comments on Got Gauge? For Mother’s Day, my husband I decided to leave the city behind for sand and surf. 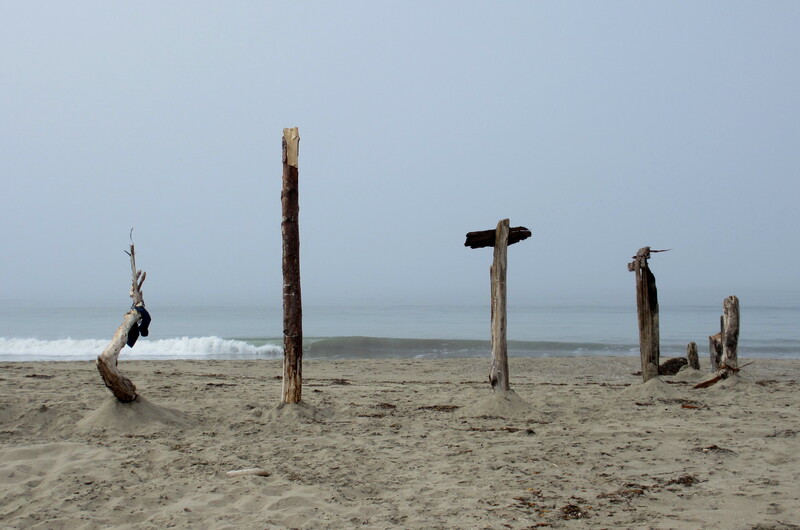 We spent two sand-filled days at Aptos, CA. We were able to get last minute reservations at Rio Sands Hotel located a block from the beach. Dinner our first evening consisted of fresh grilled fish and a dessert of coconut cheescake co-mingled with a wonderful bottle of wine at Cafe Rio. We lunched at Pixie Delicatessen on Pesto Chicken and Southwestern Sandwiches. The fresh rotissere chicken, melted cheese on a warm toasted french roll was such a treat! 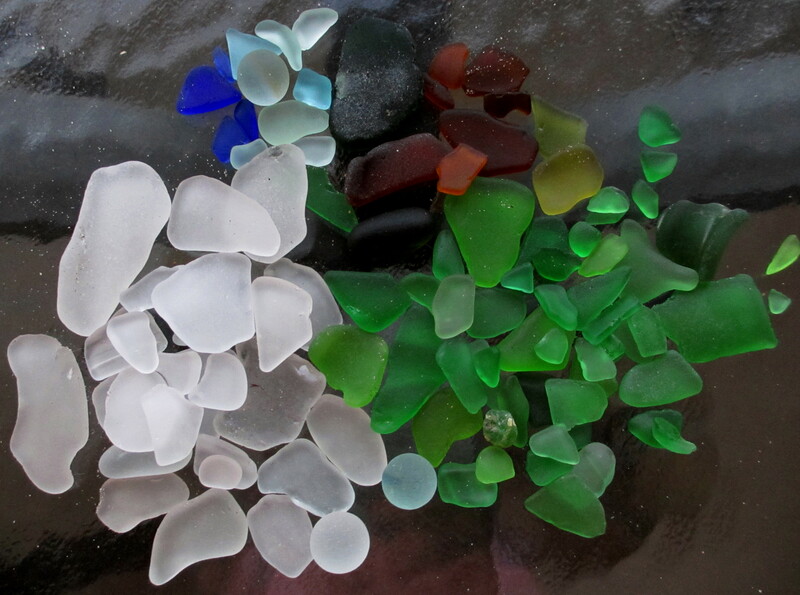 We walked all day through the surf and sand searching for sea glass. Unexpectedly, we found an assortment of sand dollars. 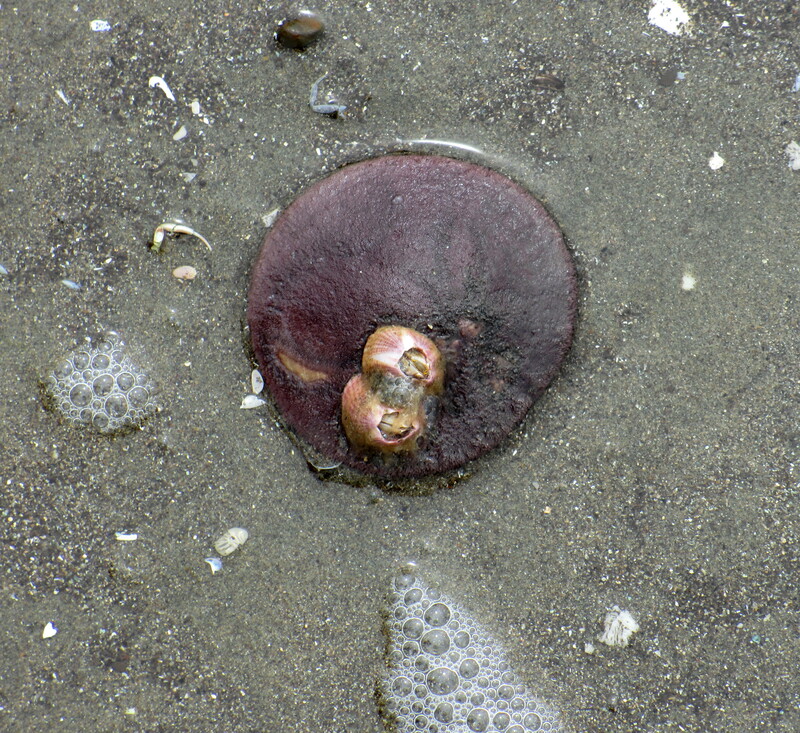 We came upon a live purple sand dollar with barnacles on its back. As the tide came in, I tossed it back into the surf. I was quite fascinated by the sand sculpture along the beach, and was amazed the respect shown to the sculptor. 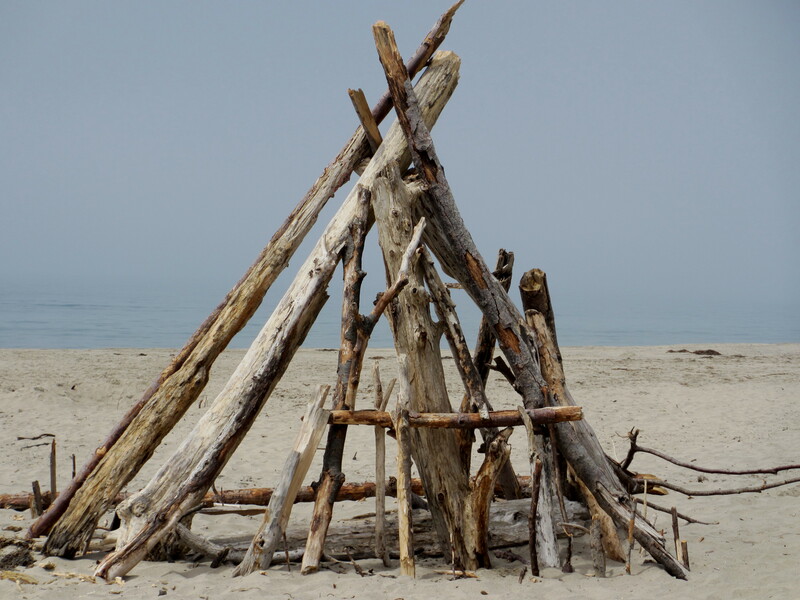 The sculptures constructed of driftwood were left intack. Of course, the tide may predict otherwise. Searching for sea glass requires a trained eye and one not distracted by all the beautiful rocks along the way. I was so excited to find blue glass, which is a special find, according to a friend of mine that lives in Aptos. After our final day of beachcombing, we had dinner at Manuel’s, a local Mexican restaurant. There are no words to describe Manuel’s…Fun, atmosphere and good food reside in this world of cultural flavor. Two sangrias later, my husband and I discussed our next adventure to Fort Bragg’s Sea Glass Beach. What a lovely end to a beautiful weekend. I browsed patterns on http://ravelry.com, but my mental picture of what I wanted for this yarn was not there. The richness of the yarn needed a stitch that would resemble the luxurience of velvet and the texture of brocade. My next resource was The Harmony Guides Vols. 2 and 3 for the right pattern. The swatch was knitted with a Size 6 needle in Crowns II pattern found in Vol. 3, page 78. I invision the bottom half of a jacket knit in the Crowns II pattern and the bodice in Seed Stitch or perhaps a ribbing pattern. There are slight variations in color due to the uniqueness of hand dying, therefore, each skein is different. I want to avoid knitting with two skeins at one time, so I’m depending on the stitches to help alleviate the obvious. Lately, I’ve been knitting in the early morning as dusk turns to dawn. The click of my needles along with the singing of the mocking birds gives me an opportunity to reflect on my life, as I gaze out the window admiring my cottage garden. 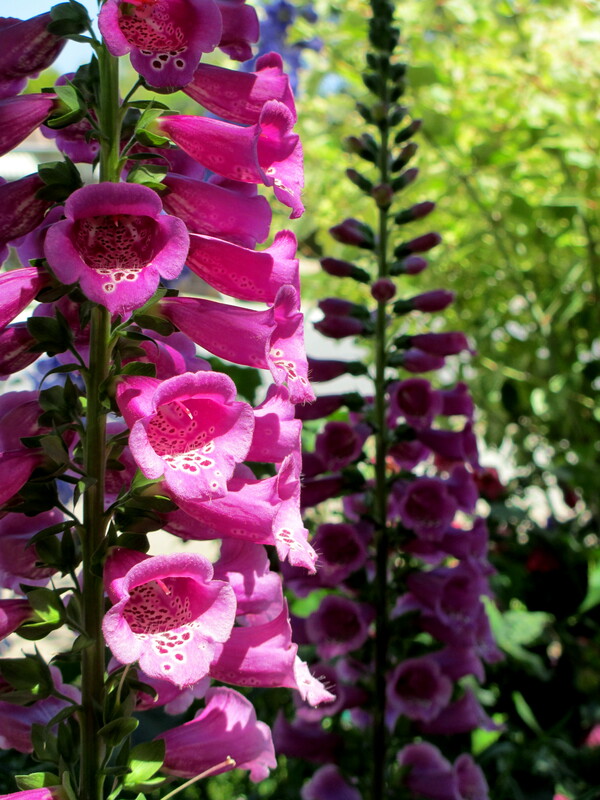 A combination of foxgloves, bleeding hearts, dianthus, salvia, delphinium, pansies and hollyhocks are a safe haven for ladybugs, provides pollen for bees and creates a lovely landscape of color and texture. 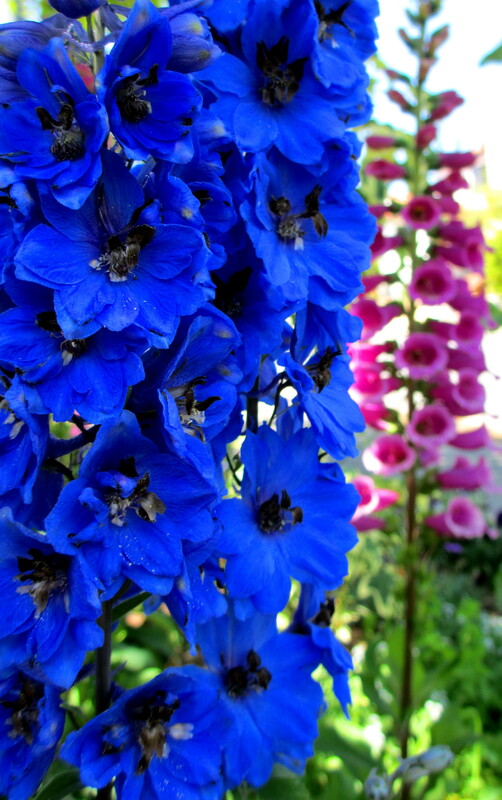 Looking at the beauty of my garden inspired me to translate nature’s bounty using yarn. 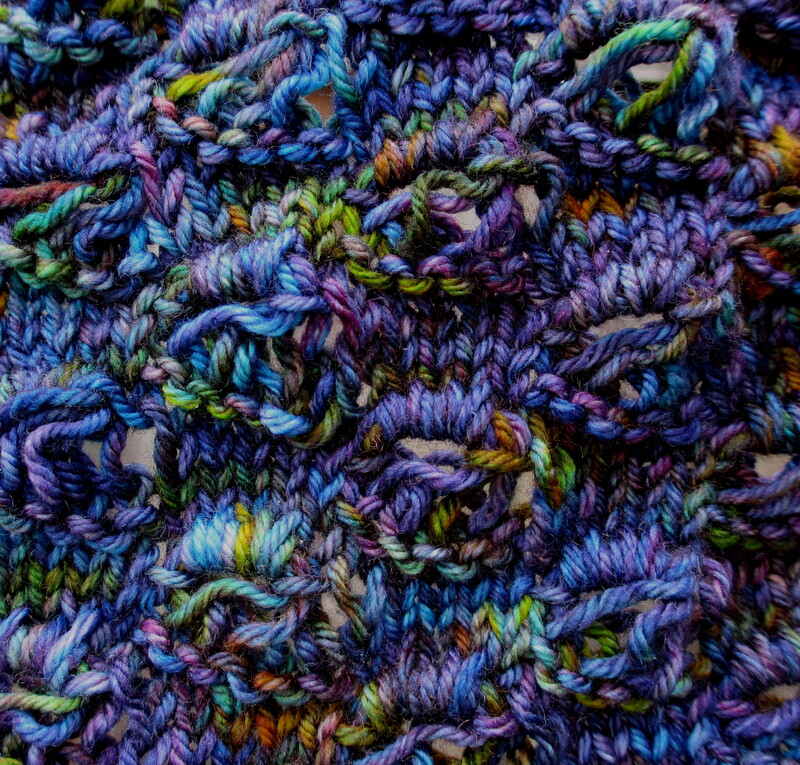 I decided to use Crazy, a light worsted all natural yarn originating from U.S. mill ends. Each skein was different but had atleast one color in common. A combination of knit and purl stitches were used to capture the sculptural variety of blooms and the structure and shape of leaves. 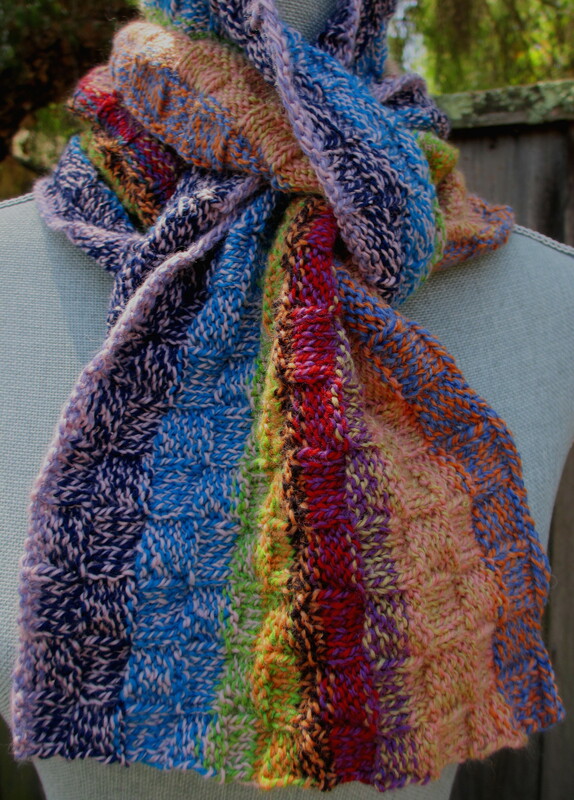 The Cottage Garden Scarf is knit lengthwise maximizing the visual qualities of yarn dyed with long color repeats. Rows 1-6: *K5, P5; rep from * to end. Rows 7-12: *P5, K5; rep from * to end. Knit 5 repeats of pattern and end with an additional Rows 1-6. BO all stitches using a Size 7 (4.5mm) needle.